As a team of millwork specialists, we always ask our clients to incorporate millwork to their residential property. First of all, millwork accentuates the aesthetics of your home. Secondly, it gives your personal touch to the otherwise lifeless objects. And most importantly, you can sell your house in the future quickly at higher resale value. In a 2018 Homeowner Protection Survey by the global property and casualty insurance provider Chubb, 58% out of the 1,200 interviewed US homeowners ‘definitely’ or ‘probably’ wanted to undergo home renovation or remodeling projects in the next 12 months. Out of these, 65% had a budget of at least $10,000 and 20% wanted to spend $10,000 – $40,000 and 15% had plans to go beyond this. The most popular renovating rooms were, unsurprisingly; bathrooms and kitchen. The idea was to uplift these rooms with custom millwork and create extra space with compact interiors, matching upholstery and smart lighting. 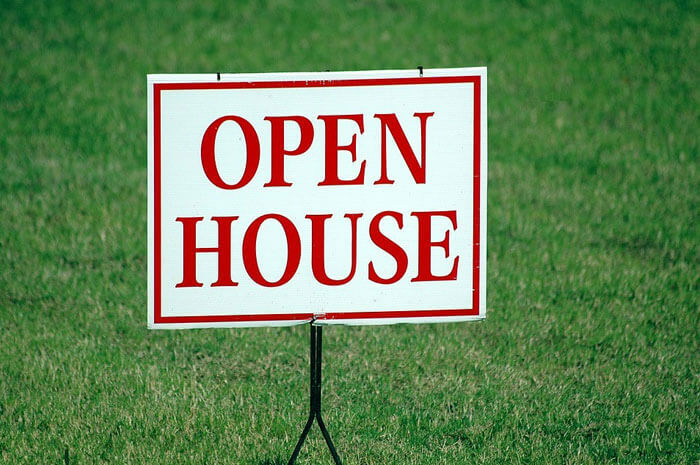 Even if you are not planning to sell your house in the near future, being ready doesn’t hurt. 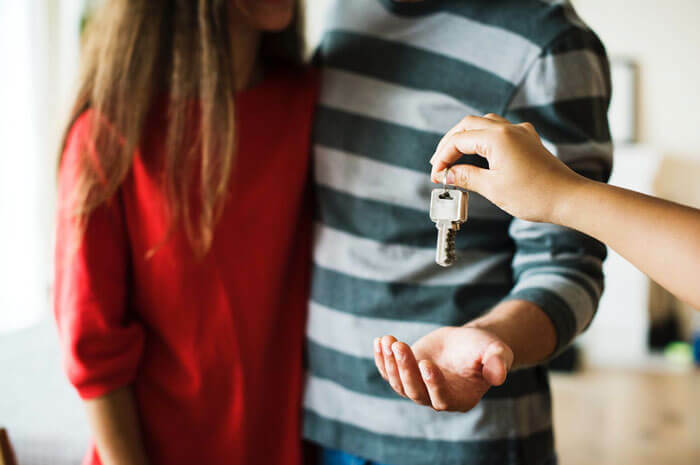 With a little change over the years, you can improve not only your current living space but add to your property’s resale value in the future. You can go for custom kitchen millwork and custom bathroom vanities, and also jazz up your home office space with custom home office drafting. Other than this, you custom library drafting, custom ceiling treatments etc. are neat ideas too. There are numerous ways in which you can reap the benefits of custom architectural millwork. Your kitchen is the busiest room in your entire house – which is why, withering; wear and tear is also maximum here. 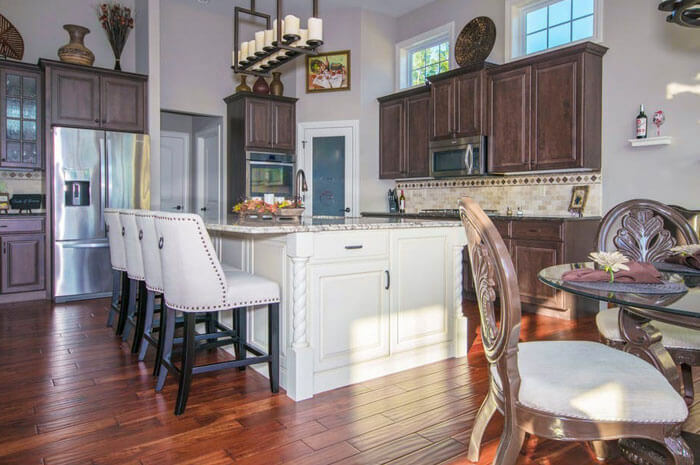 A well-maintained kitchen can amp up your property’s resale value to a great extent. Start by replacing or rearranging your old cabinets. Wood is a charming substitute to the old glass panels. You can go for custom woodworking to get panels of your choice designed and installed. Panelled cabinet ends give your kitchen a furniture-like custom-built appearance. 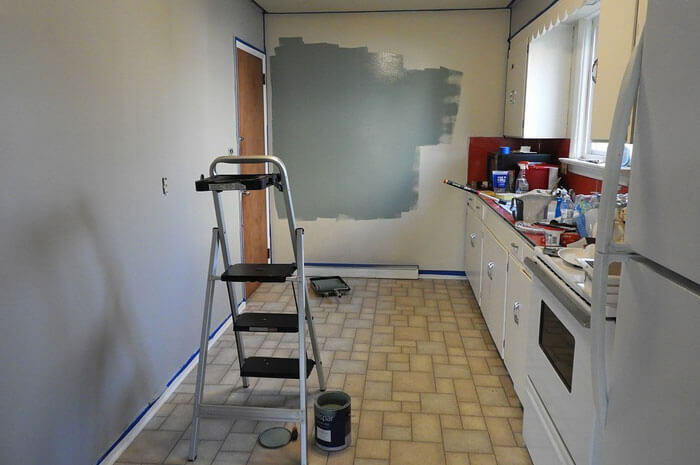 Replace old countertops and plan for spacious new countertops. Experts recommend at least 36 inches of countertop space with 24 inches on one side and 18 inches on the other side of the sink. It’s always advisable to create as much space as possible. There should be adequate floor space for appliances so that you can open doors and still walk. The recommended space is around 30 to 48 inches. You can go for custom built-in cabinets for dishwasher and other drawers. Make sure the plumbing is out of sight. Drainage pipes, valves, electrical outlets and wires can be covered inside panels to present a neat outlook. Another high traffic corner of your house is your bathroom. Experts from Remodeling Magazine predict that the average bathroom remodeling cost is just under $18,000 and you will be able to recoup nearly 66% of your investment in the resale value of your property. If you decide to upscale, you can expect to invest around $60,000 and expect a 58% recoup. First, settle on a design that is in sync with the overall layout of your home – there are so many ways to redo your bathroom; right from simply swapping the vanities to gutting the space downright and beginning from scratch. Some of the important design elements that you should take care of before you begin are color schemes, storage spaces, the location of utilities and new fixtures. A good idea is to keep on using the existing piping. Unless absolutely necessary, you do not need to remove or relocate utilities. Our experts tell us that you are set back by around $4,000 every time you move your plumbing fixtures. Give your old mirror a makeover with custom mirror frames. This way, you do not have to invest in a new one. The frame will also hide any age-related wither. To store your vanities, get bathroom millwork. 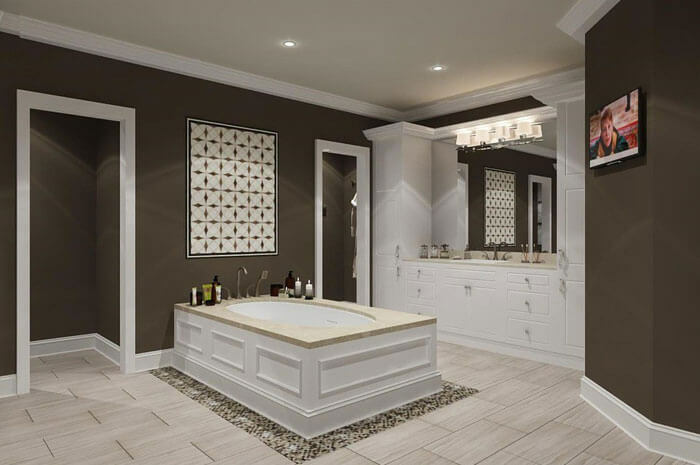 You can enhance your tub and shower areas with decorative millwork. If these areas are stand alone, try columns with the same structural height. If these are tucked inside a nook, you can surround them with crosshead and pilasters. Your bathroom ambience will be upgraded immediately. Give your bathrooms a personal touch with wall niches, medallions, ceiling domes, rosettes and appliques. You can find several varieties of these millwork detailing products. Or you can speak with our experts to know more designs. If done right, you can recoup 65.2 % of your investment on renovating when you sell the house. Wooden doors and windows are resistant to general changes in temperature; have outstanding insulation properties, are rust-free and shockproof, easy to maintain and modify and have higher longevity. Plus, they add a rustic charm to your house – so that reselling becomes easier! There are several ideas to choose from – you can opt out of several looks such as contemporary, rustic, classic and modern. There are several types of wood varieties to select from. Get in touch with specialists today to know more. If you replace the steel tacks and garage door, you can yield a 75.6 percent ROI, according to Cost vs. Value Report. And replacing older windows with vinyl windows gives 73.3 percent return on your investment. These are just some of the ideas where you can get the highest returns on your investment with custom millwork and casework. You can always turn to BluEntCAD’s experts for getting detailed insights on how to get the most out of your property’s resale value. Just drop us a line and we’ll get in touch with you.